Custom Tilt Doors | Book A Consultation With Us Today! Custom Tilt Doors are a great way to put your own creative spin on your home. 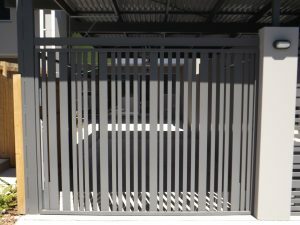 Brisbane Garage Doors can provide you with a unique garage door that you can think of. If you can dream it, we can do it. We have years of experience in designing and installing custom-made tilt doors and are proud to offer a free consultation, including a home visit, measurement and quote all on the same day. Whether you’re looking to replace your T-handle tilt door with a motorised one or design a customised tilt door from scratch, our technicians will work with you to make your vision come to life. Need More Information on Tilt Doors? To find out more information on our tilt doors or to simply arrange a consultation, contact us today.